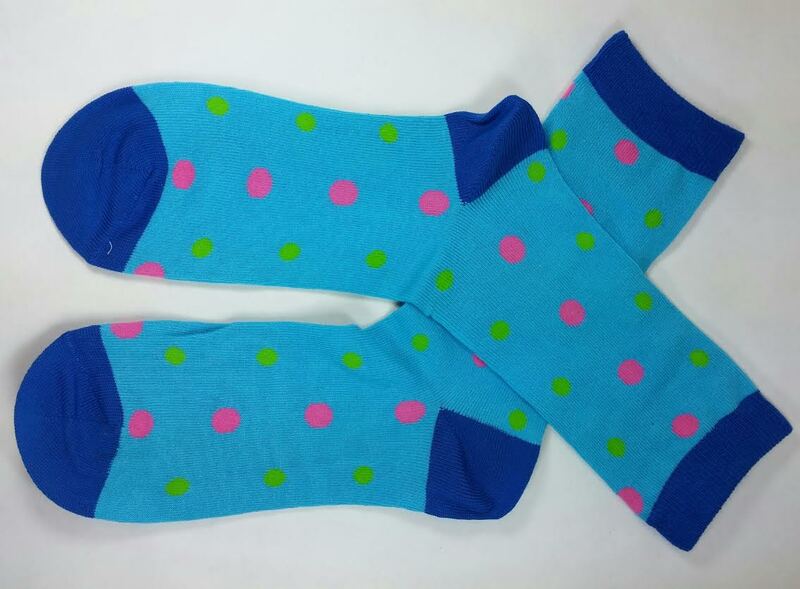 Sock101 Sock of the Month Subscription Review + Get your First Month for $2! 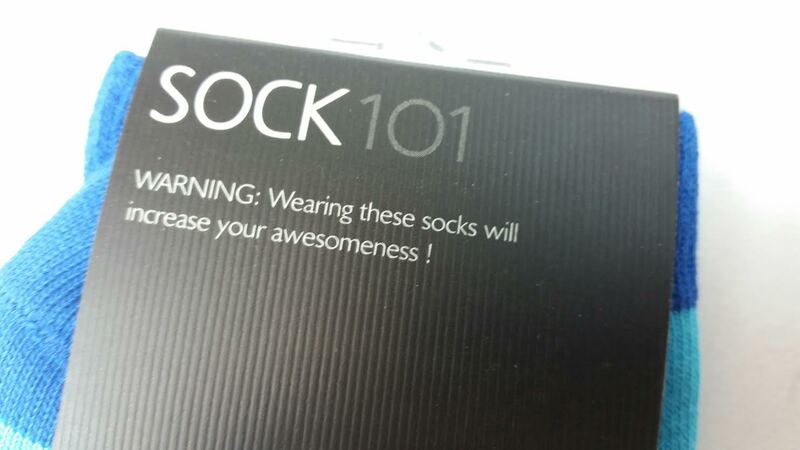 I've noticed that companies that deal in socks tend to have a big sense of humor. Sock101 is no exception. 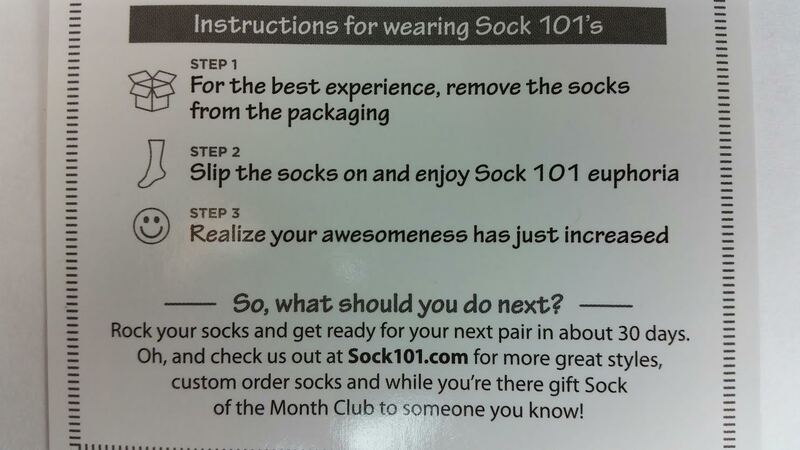 Here is the info card that was included with my socks. The Cost: $11/month for regular crew socks. $15/month for knee highs. What You Get: One pair of super awesome Sock101 socks. Now that my awesomeness has increased since I put these on, lets get down to business! Sock101 socks are made in India with 77% cotton and some Lycra to get some stretch. They also have little details like toe/heel cap seams and ankle band elasticity. Who knew there was so much to a sock? 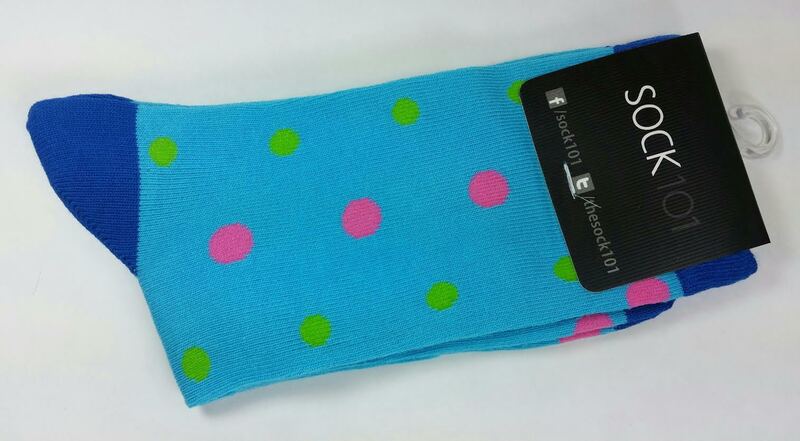 I think these are super cute with the green and pink polka dots! They're comfy, too. These are the Crew socks but they also have Kneehigh subscriptions available. These are the Women's style but there's a Men's selection, too. The socks in the Sock of the Month Club are random but they have a lot of styles you can just straight up buy in their shop, too. I like the randomness of it so this works well for me. 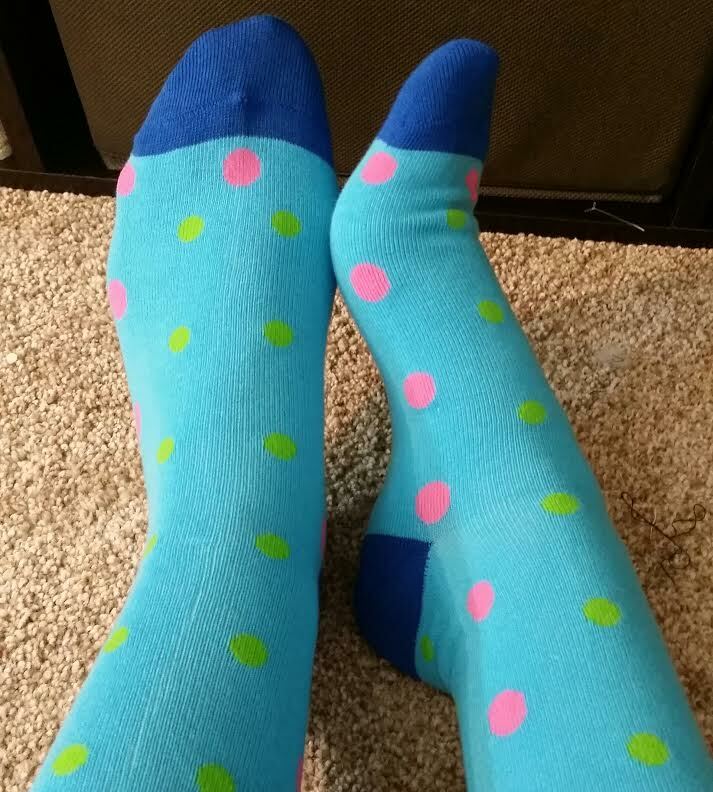 VERDICT: It's a fun sock! I'm not sure that I think it's an $11 sock, which is the monthly subscription price but if you find a deal, these are nice socks. You do have to email to cancel, you can't do it right from your account but that's not unusual. Ahhh so much fun! I probably wouldn't pay $11 for a pair of socks like that, but this sub seems like the kind of thing that would be really fun to give as gift. Assuming the recipient has a sense of humor, of course. There's one sock sub out there called Foot Cardigan. For some reason, it *always* makes me laugh when I see/type it. (giggles) Whoever thought up that name is a genius. But yeah, $11 is a bit much. Two dollars? Yes. $13.50 for 3 months, yes. But ehhhh on $11. I'd rather have a Birchbox.